Christophe Bec, the French author, and the illustrator Stefano Rafael, his regular collaborator, had a definite hit in 2010 with the release of Under in France. The English language versions of the comic book only took a year to happen. That’s lightning fast. Now, filming for a movie based on Under is scheduled to start late in 2019. 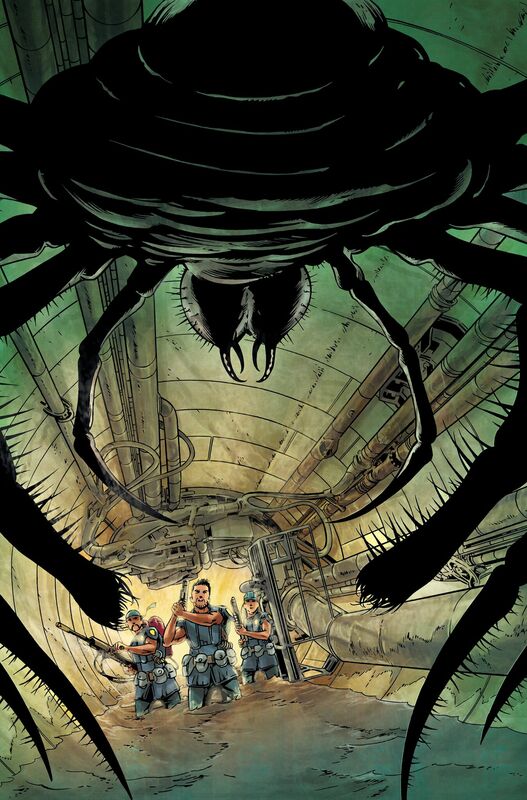 Under is set in the new future, in a major US city’s sewers, which have become a battleground for mutant monsters. 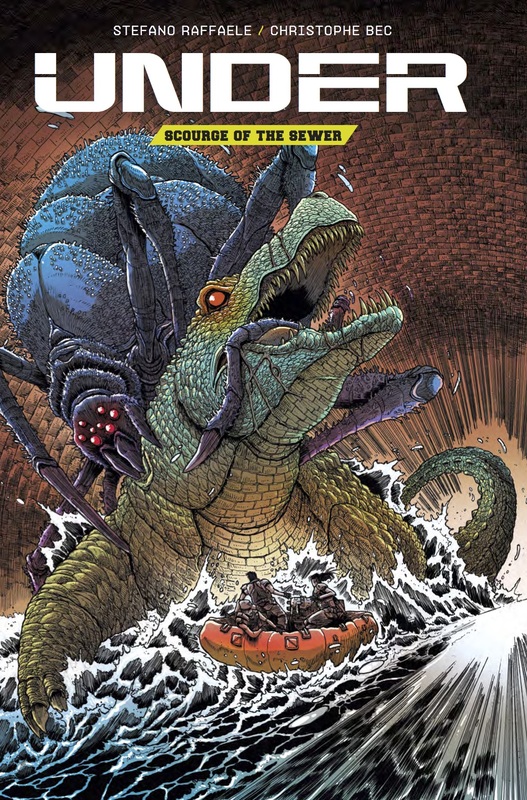 The preview art shows a giant spider and a crocodile monster failing to be friends. In the thick of it a disgraced ex-detective, Jericho, finds himself leading a response force into the sewers to try and bring about some order. Young scientist Sandra Yeatman gets added to the team, and together they have quite a challenge to stop the chaos spreading to the streets above. Anthony Alleyne will adapt the comic book into an action/sci-fi film with the writer Brennig Hayden. There’s a trifactor of publishers working together to make this happen. The Franco-Belgian comics powerhouse Media Participations publish Under via their Le Lombard brand and are working with the UK’s Titan Comics. Also, the UK based Born Wild have been brought on for the project. These perhaps aren’t household names for UK cinema-goers. However, there’s a budget of eight million euros for the project so we should expect to see something of a theatrical release before we see the movie on Netflix next.